It's an early morning trip to Berlin with the intention of seeing its historical architecture. It's a brief stay, just enough to experience the good and the not-so-good side of the city. I am not a newbie in travelling. But, when I am in another country, I have the tendency to react and compare whatever this country have that others don't. True enough, the bad experience in Berlin is something that a tourist like me will not expect. Besides, I have high regard to this city prior to my trip. The incident is not the focus of this blog, but rather the places that I consider a treasure in this cosmopolitan city. Nevertheless, I am obliged to keep you aware when you decide to pay a visit to the city of Berlin. It may or may not happen to you, but, just the same, I will tell you exactly what you should avoid and the things you should know about Berlin. My hosts from Hamburg, who are also my cousins, spent little time in convincing me to include Germany on this particular European journey, saying that their country is one of the best in the world. As I always try to see as many attractions as I possibly can in every country, my hosts purchased a whole day bus tour to explore the neighbouring Berlin. 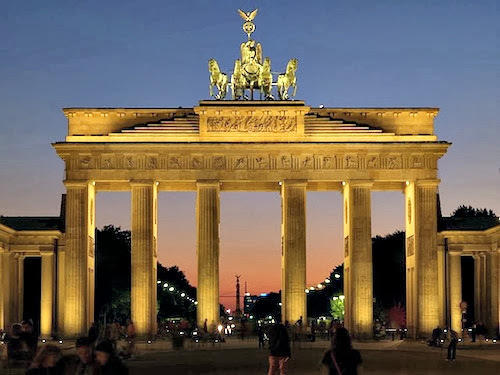 You also have the option to buy a hop-on hop-off City Sighgtseeing valid for one or two days or the Berlin Pass good for whole day tour to 20 different stops including Potsdamer Platz, Checkpoint Charlie, Berliner Dom, Altes Museum, Alexander Platz and Brandenburg Gate to name a few. Berlin is located in the north eastern part of Germany and a fast becoming popular destination for many tourists. Visitors come to Berlin to see the remnants of the Communist era causing the city and its people divided by the Berlin Wall between the East and West Germany. The German unification finally brought down the wall in 1990 that resulted to a united Berlin and capital city of Germany. Modern day Berlin is a vibrant city known around the world as a prominent centre for arts. It is home to hundreds of museums and theatres, a couple of opera houses and symphony orchestras. The city has a calendar full of events all year round. Several festivals like the Love Parade, Art Forum Berlin, Jazz Festival and the Christmas Market are held in different seasons of the year which encourage visitors to book a trip here. Having said this, I suggest you book your accommodation well in advance to avoid disappointment in witnessing these festivities. Brandenburg Gate is one of Berlin's prominent attractions. For a couple of years, it was closed to tourists as it lay between no man's land between East and West Germany. You won't miss it because the gate will lead you to the Pariser Platz that links to the beautiful Unter den Linden Boulevard. I barely see the Checkpoint Charlie Museum located close to the actual Checkpoint Charlie on Friedrichstrasse. I don't have much time seeing the memorabilia housed in this museum, the accounts of tragic tales of near escapes as well as stories of the escapees who made it from East to West Berlin. If you are interested in the events of the Second World War, then, this museum is a must-see. There is another museum that you may be interested to visit. Allied museum is housed in a movie theatre highlighting the role of the Allied forces during the World War II. A collection of weapons and other relics might be of interest to you and so with photos, memorabilia and the original Checkpoint Charlie shed. If you are really into museums, the Altes Museum is also a must-see. From the outside is the Greek styled theme, similar to what they have in the Roman Pantheon in Greece, thus creating an extensive collection of Greek and Roman antiquities. Just out in the centre of the museum is the giant bowl carved out of a single piece of stone. This Rose Bowl act as a centrepiece, built by famous Berlin artisans. 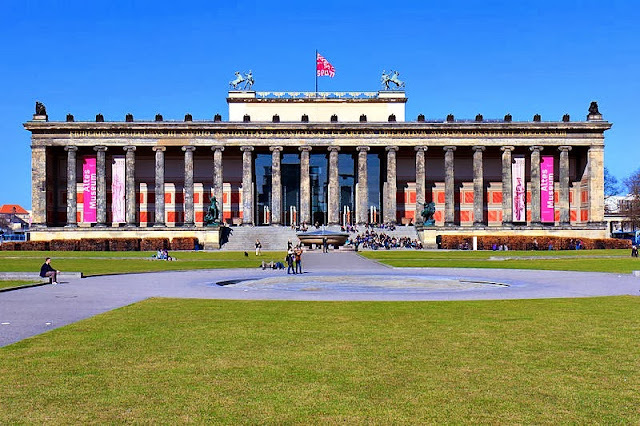 The museum is situated on the Museum Island or Museumsinsel in Am Lustgarten. It is considered the third oldest museum in Germany and Berlin's oldest in particular. On the inside, I will let you, museum lovers, to see for yourself and appreciate the city's collection of classical antiquities. When exiting the nearby Underground train station, you will see a very old Gothic redbrick, Marienkirche. At the centre of the park across the Marienkirche, a Neptunbrunnen or the Neptune Fountain is definitely an amazing scene. Just looking at the bronze statue is entertaining and attractive in any angle with Neptune on top holding his trident. You will see Neptune with the four female symbolic nymphs sitting on four sides of the fountain. The Potsdamer Platz was divided and cut by the Berlin Wall during the war. 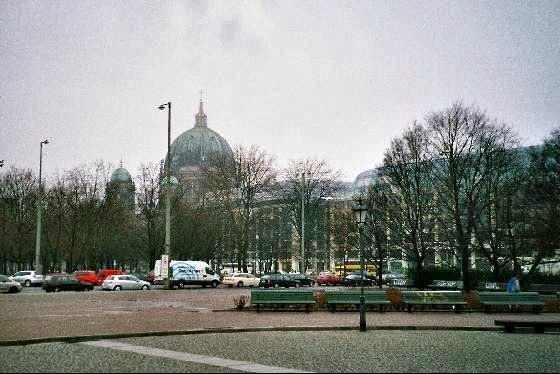 It used to be the busiest before the war, and today, after the wall was brought down in the late 80s, it became the heart of Berlin hosting shopping centres, hotels, casinos and many restaurants. Visit Potsdamer Platz where Sony Centre and the huge shopping mall, Potsdamer Platz Arkaden are located. The Berlin Cathedral is an imposing structure that stands on a site that once hosted other structures. The Berlin Dom, as it is widely called, offers several points of interest like its pulpit, the magnificent Sauer's organ, stained glass windows and dome adorned with ornate mosaics. If you want to experience and see the interior of the cathedral, guided tours will be available on site. It is located at Am Lustgarten in the city. Take the Metro/Subway train, S-bahn and U-bahn to Alexanderplatz or the S-bahn to Hackescher Markt. By bus, take buses 100, 157 or 348. Although I am entitled to a whole day tour of the city, I opt to take a side trip using the public transport. If you happen to be at the Berlin airport, you do not need to worry about getting to the city centre. The airport is connected to the city by public buses. Berlin has an extensive public transport; buses, trams, the commuter rail S-bahn, the underground rail U-bahn and the ferries that connect to most part of the city. There are taxis available but the former will be cheaper to move around. If you come to Berlin to shop, there are malls and shopping centres than individual boutique stores. 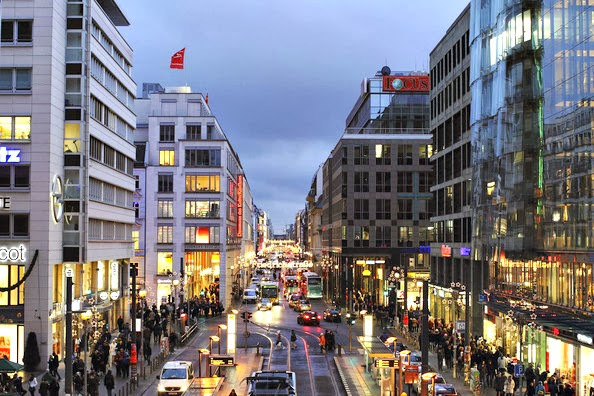 The city offers shopping centres in Potsdamer Platz, Uhland Passage and Kempinski Plaza. Food in Berlin is not limited to the traditional German cuisine. It also offers international food like Japanese, Thai, Indian, Greek, Vietnamese and Indonesian which are paired and served with a variety of local wines. One thing that I missed is the River Spree cruise. It would have been memorable if I experience the city's local waterways. There are tours that offer close-up views of the city of Berlin. There is also a day of adventure along the two of the famous rivers, the Spree and Havel which pass through narrow channels, large lakes and canals. Hence, I did not join tours due to time constraint. My schedule was so hectic, but, there would always be a second chance. The next thing that I am happy about is the exploration of the palaces and gardens which are so artistic and full of history. If you want to enjoy the place, I would recommend you to walk through its lively streets and squares. You will discover the beautiful sights and get to know more of the local people and their lifestyle. The only drawback is the language barrier. Delays could happen at times due to difficulties communicating. The not-so-good experience in Berlin that I am telling you earlier is, I believe, not the worse that can happen to a tourist in any country. It can happen in the Middle East, it can happen in a small European country like Cyprus, in a tiny island like Hong Kong and it can possibly happen in countries that I have good memories like Sweden and Turkey. I got so excited taking the train that after purchasing three tickets from a goodies store (not even a ticket booth), I headed to the train and jump holding my wife and daughter on both hands. We were only five minutes standing on the train when inspectors (or are they Underground employees or Police Patrol?) started checking the tickets. When they turned to us, one of the inspectors grabbed the tickets from my hand and said, "Okay, get off the train and come with us." Then on the platform, one of them asked in a loud voice and said, "Do you know that not validating tickets is a criminal act?" I replied with a big NO while I see people around us while we were interrogated as if...what they call "criminals". One asked for a fine of 40 Euro for each one of us. I told him that even if I have the money, I would never give them...not a single penny! Then I asked if that is how they treat the tourist. Still, he got guts asking me if we have proofs that we are tourists. Without saying a word, I pulled our Canadian passports and showed just the cover. I did not have the intention of handing it to any of them. Why? Because I did not even know them. Were they for real? They were not in uniform and they did not even introduce or tell us who they are. After seeing our passports and confirmed the country where we came from, there's a sudden shift of voice to a low tone. They try to "educate" us by showing "how to validate a ticket". I can't believe it. Do they have to harass and scare people to discipline? Yes, it is our fault. There must be a better way to do it.